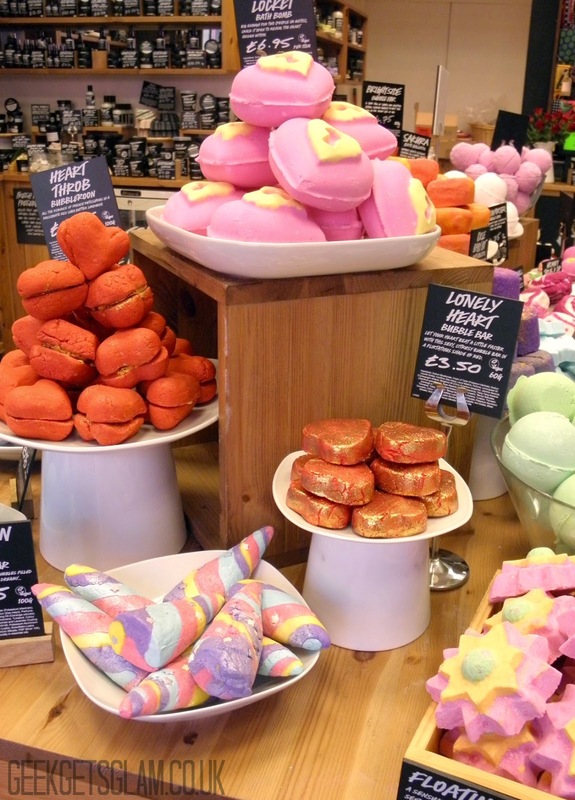 I'm always excited for a new launch of products at Lush and that is no exception for this year's Valentine's Day collection! 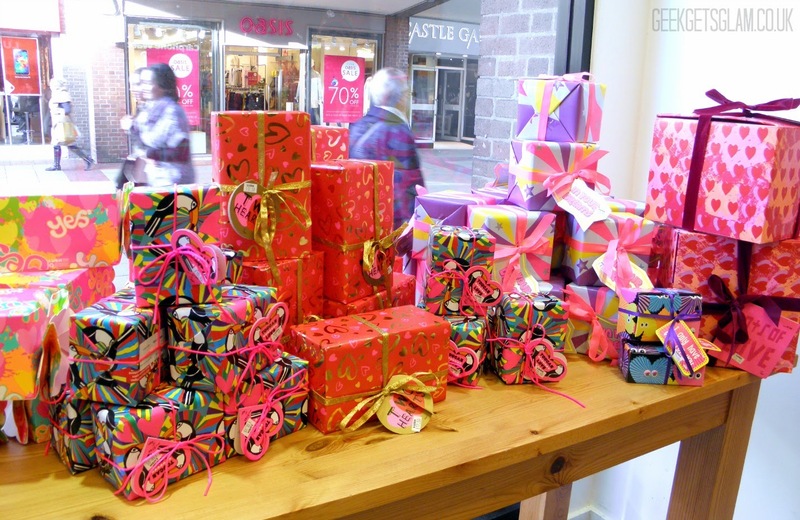 There are new bath products, lip products and gifts which were displayed in a special early morning preview put on by the Lush Solihull store. 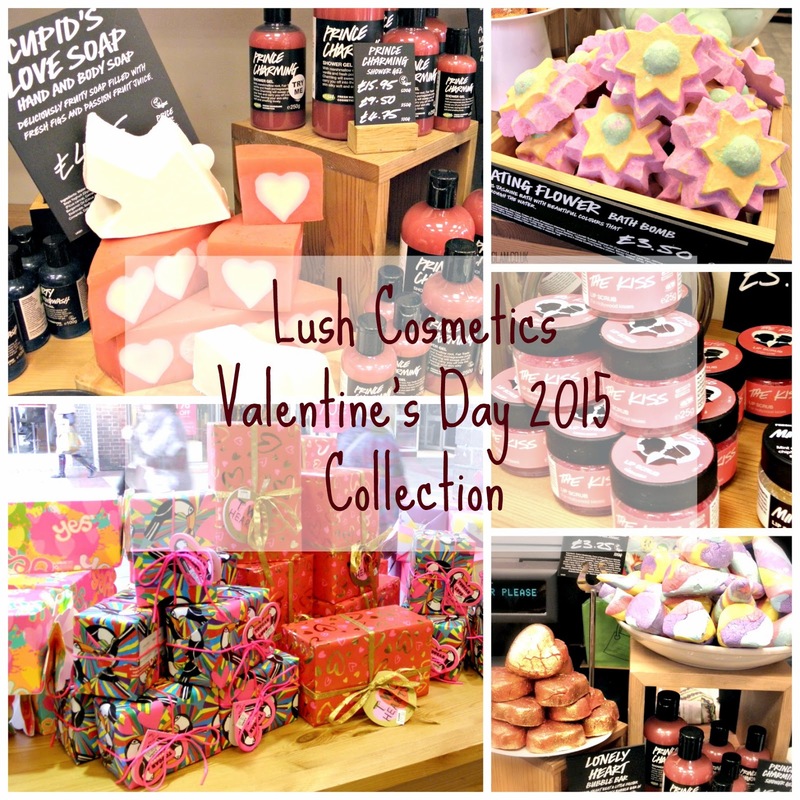 I love the new products this year - Lush have really put a lot of effort into this amazing collection! 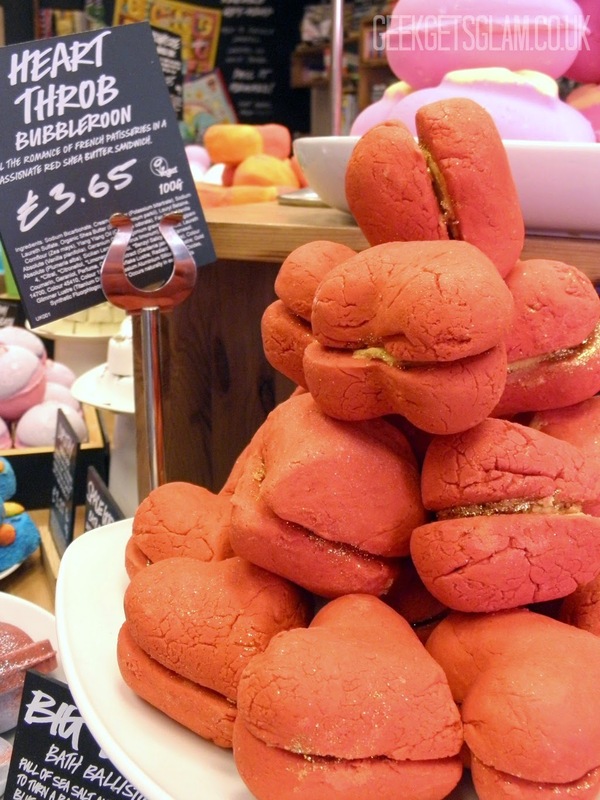 This year sees the return of the Love Locket bath bomb which is a HUGE bath bomb you can crack into three pieces and therefore enjoy three baths! It has a cute little heart in the centre and smells a bit like Love Heart sherbet sweets. Also returning is The Kiss lip gloss and Prince Charming shower gel, which is a very sweet smelling gel so if you're a Snow Fairy fan I'm sure you will love Prince Charming too! 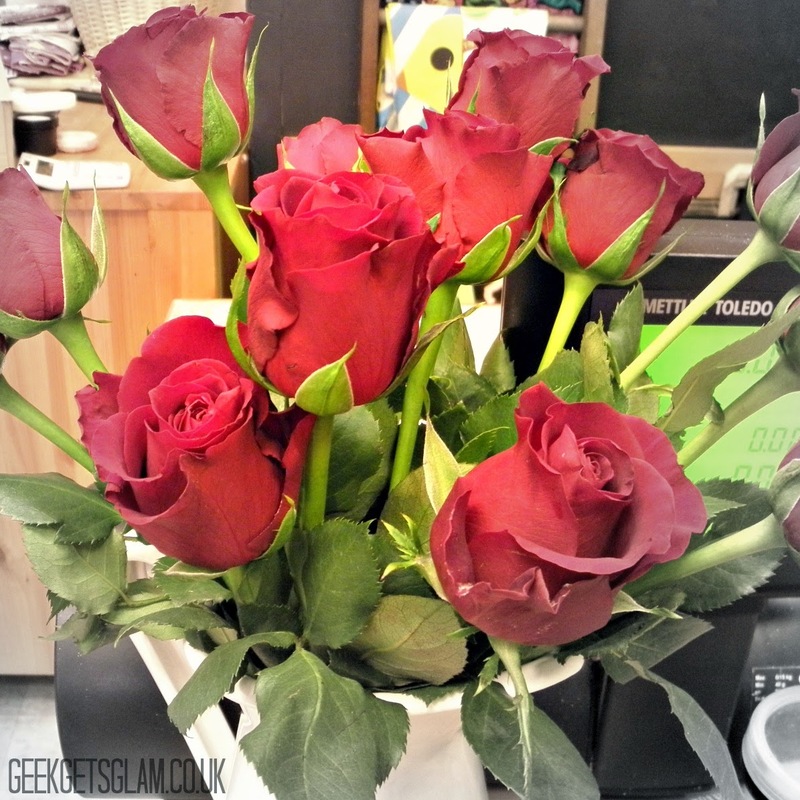 This year I'm glad to see some new Valentine's themed products. 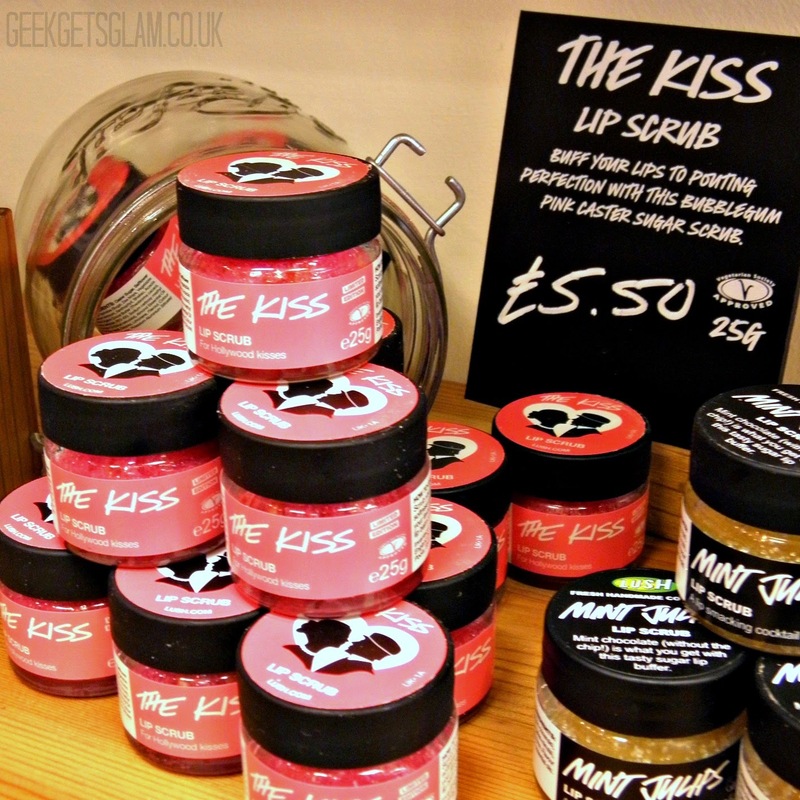 I've mentioned The Kiss gloss but this year we also have The Kiss lip scrub which feels s finer scrub than the others Lush sell and it tastes quite sweet. It reminds me of an iced doughnut. 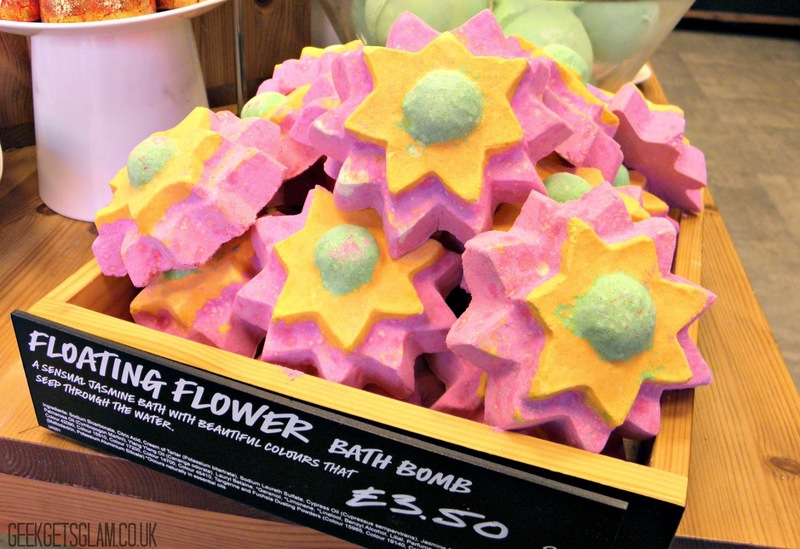 Floating Flower is a jasmine scented bath bomb which is perfect for those who love a sensual and seductive fragrance. Lonely Heart is the cutest little bubble bar which, again, smells divine. It has the same smell as the Fizzbanger bath bomb and the Love perfume Lush used to sell. 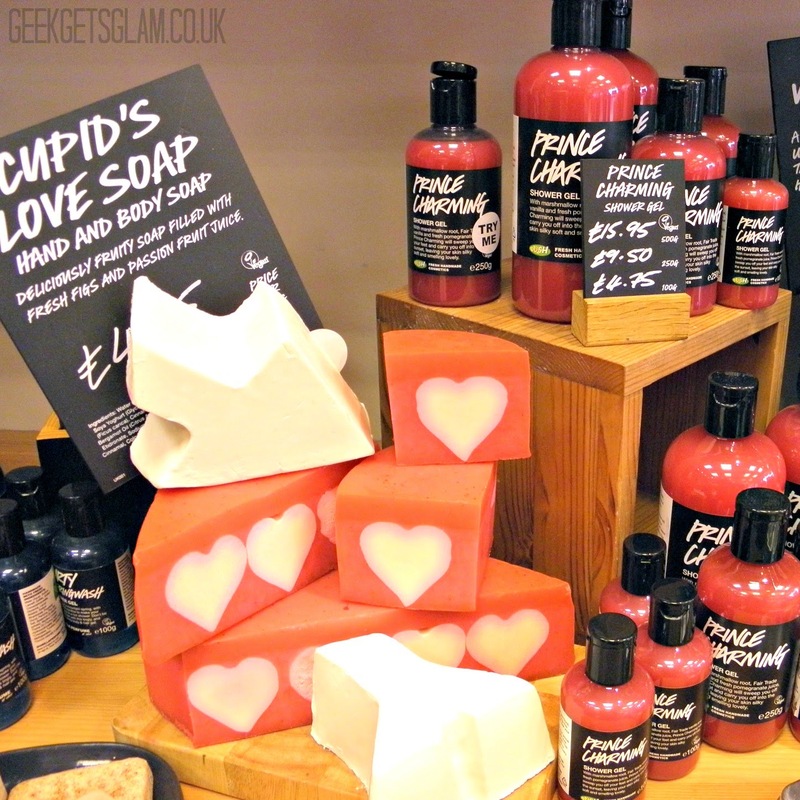 Cupid's Love Soap is almost the same as the soap released last Valentine's day but Lush have changed the base. This soap is quite sweet and fruity. It feels amazing in your hands as it is full of soya yogurt so I imagine it would be lovely and soft to wash in. 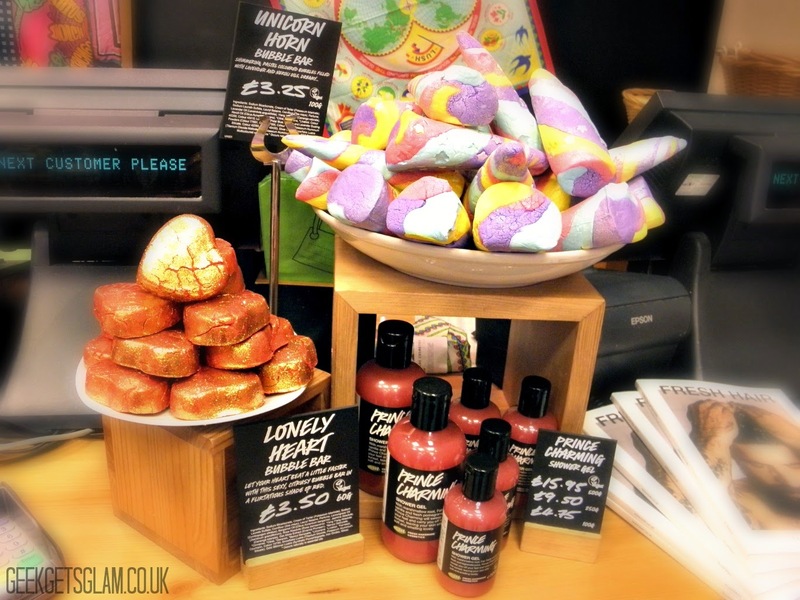 The bubble bar that has had the most attention is the eagerly anticipated Unicorn Horn. It is a massive bubble bar and smells of lavender, leaving your bath all shimmery lilac and relaxing. 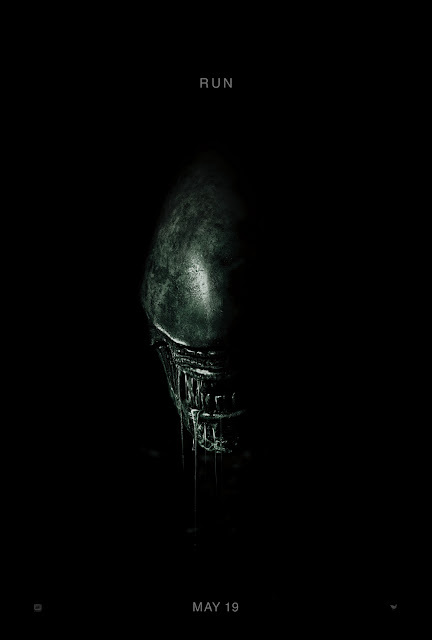 Any my top pick this year? 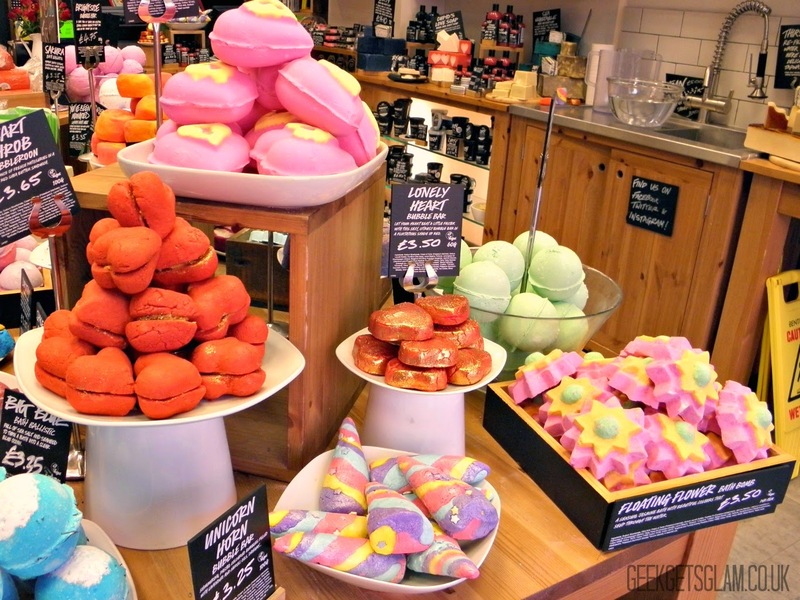 I almost died with happiness when I saw and smelled Heart Throb bubbleroon which is fragranced with my all time favourite Lush scent, African Paradise (which is only available in the body conditioner at the moment). It's full of shea butter too so it is very moisturising and it smells heavenly. This is one I'll stock up on! 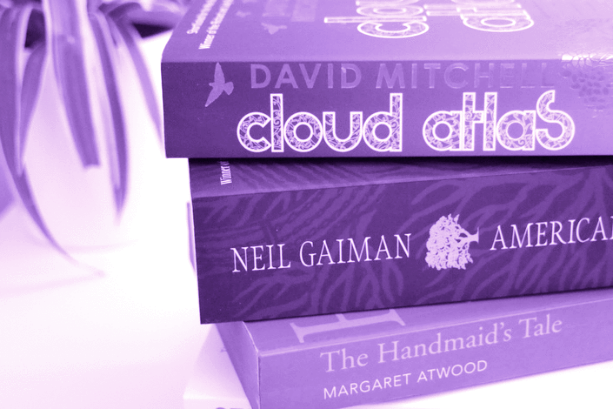 I have got a few of these products for myself so expect some reviews and initial thoughts in the next few days! The unicorn horn looks amazing i went in the other day to have a little look at them and they all look so pretty! 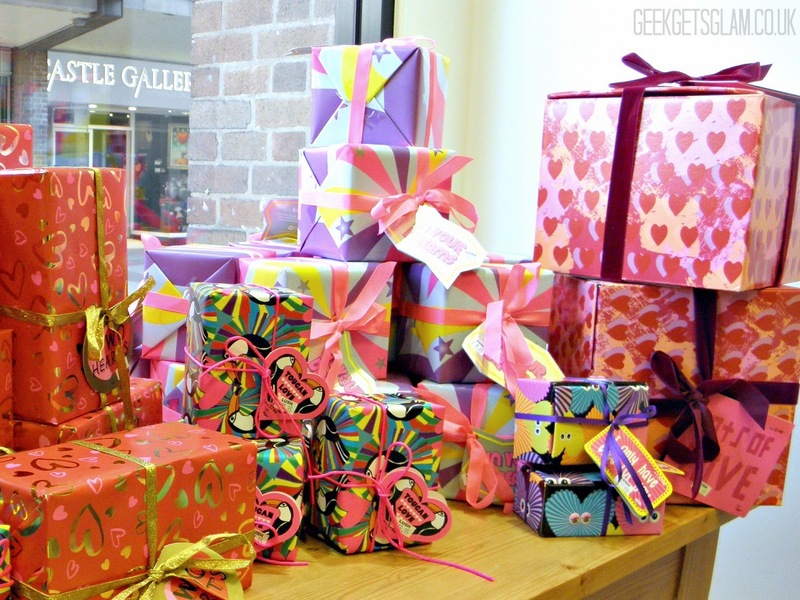 I'm so excited to try out Lush's Valentine's Day range! This post just makes me want to jump in the car and get going!